What makes children happy? Stuff. That’s what most parents think, it seems. Xbox 360, Furby, Lil Swanky clothing, M&M’s and licorice ropes, Lego sets—whatever little Madison and Brayden desire. If Mom and Dad took a break from indulging their kids’ whims and thought about it, they might admit that it’s not working. You don’t have to peek down too many aisles in the toy store to see children who already have everything—and are miserable brats. There must be another way. Now, science is supplying some evidence to teach us what was once common knowledge: that it actually is more blessed to give than to receive. cnn summed up the findings: “These studies confirm some age-old wisdom about happiness: If the goal really is to make our children happy, perhaps what we ought to be doing is not overindulging them, but giving them the opportunity to give” (Sept. 17, 2012). And it doesn’t change when we become adults, as a multitude of research bears out. Whether a person donates money to charity, volunteers time or commits random acts of kindness—like providing directions to a lost traveler or holding the door for someone—reports show he will be happier and suffer less anxiety and depression. In 2000, the Social Capital Community Benchmark Survey found that of 30,000 American households, those who gave money to charity were 43 percent likelier to say they were “very happy” about their lives compared to non-givers. Those who volunteered time were 42 percent likelier to be very happy than those who didn’t. Ergo, a surefire way to lead your child to a happier life, both now and on into adulthood, is to teach him to give. But how? Start by setting the example. Give of your time, and be sure your child does too. If you have a neighbor or someone from church who needs help, get your child involved. When you visit someone in need, take your child. If you write a note of encouragement, let him add a hello. Help your child to look out for others’ needs. If you know someone is down, ask your child what she thinks she can do for him. Help her write the note, bake the treat, place the phone call. Get her in the habit of one “act of giving” a week: a get-well card for someone sick; a thank-you present for her teacher; a friendship note to someone special; a video call to a relative she rarely sees. Have your child do yard work for an elderly neighbor: rake leaves, mow the lawn, shovel snow—volunteer work, not for money. (That’s not to discourage entrepreneurship—there’s a time for that too.) Spend time together picking up trash and cleaning up the neighborhood; then, when your child looks across a clean neighborhood, he can take pleasure in having contributed to it. Teach your child to tithe and give offerings. Any money he receives in allowance or for chores or his job, have him set some aside for God. This is another area where we should set the example: Tithing and giving to God is the blessed way of life (request our free booklet The Financial Law You Can’t Afford to Ignore). Instill this habit in your child, and the lessons of working hard, saving and contributing to a cause bigger than himself will help him his whole life long! We all know that money can’t buy happiness, but so many of us still make the mistake of trying to purchase it for our children. Wise up and flip the script. 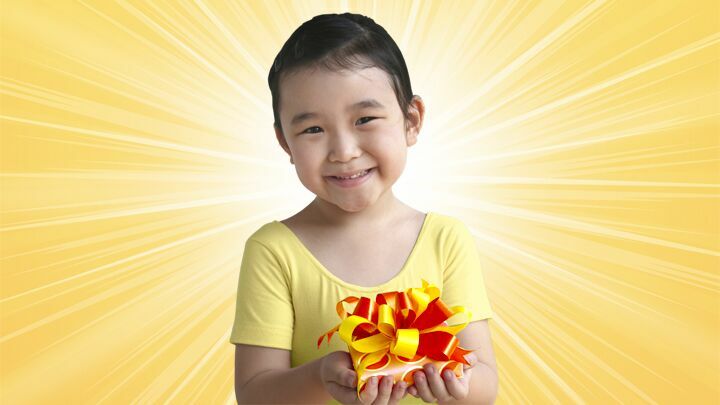 Help your child experience all the benefits of the happy way of life—the way of give.